Package prices include the deposit - $200 will be taken off the package price. We will contact you after we receive the deposit to make further arrangements. This retreat is a journey of capturing moments however you gather them. FOUR days of retreat inspiration. We’ll start Thursday at 5:00 and finish by Sunday at NOON. THREE night accommodations provided by Cypress Hills Resort. THREE delicious breakfasts (other meals are on your own) & yummy snacks during sessions. 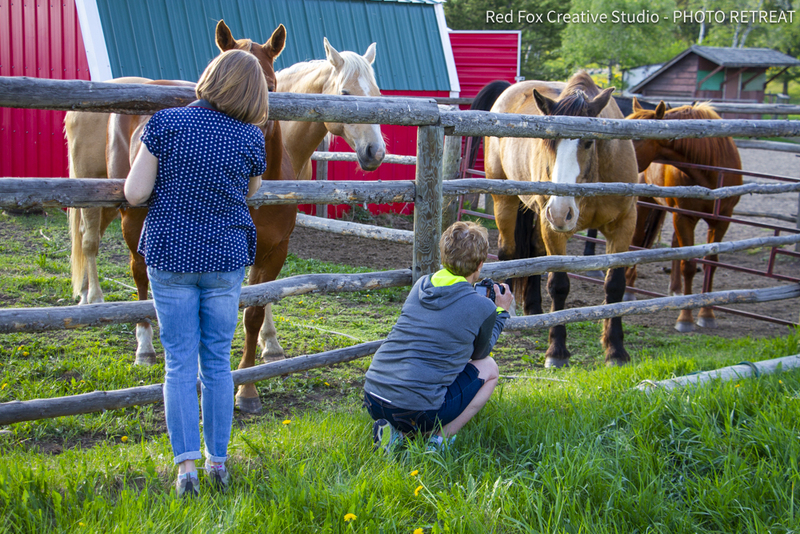 You will experience the best of both worlds – photography creation and relaxation. 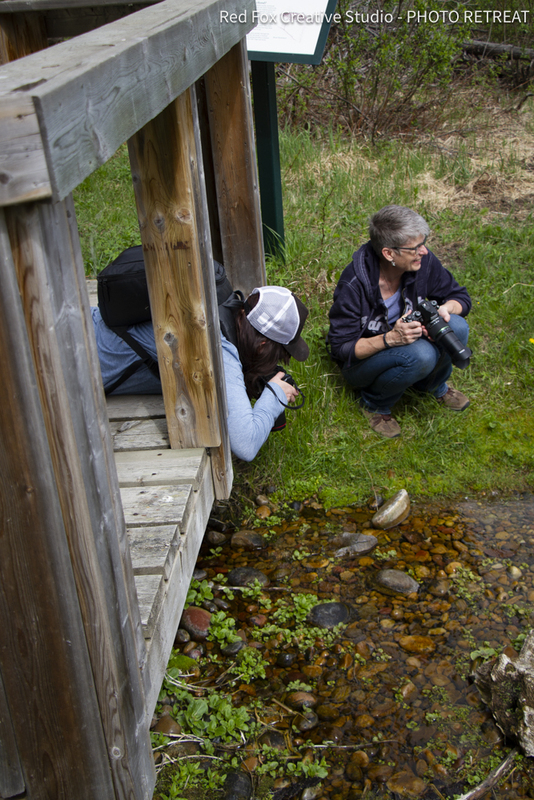 This photography retreat is the perfect blend between reflecting and recharging while practicing your photography craft. This retreat does not contain a heavy workload. 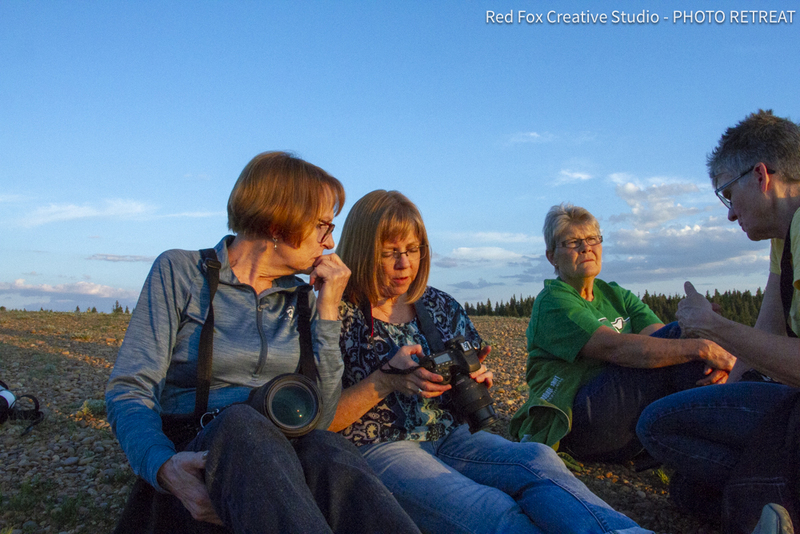 It is an opportunity to make strides in your photography through practice and group sharing. You will have many opportunities to take is all in and breathe. You will spend time outdoors to help reduce stress, improve your mood, restore attention and heal mental fatigue. Short, simple mindfulness exercises incorporated into your activities, such as hiking between photos, will demonstrate an easy, enjoyable, and surprisingly effective way of being more mindful. Being in the Cypress Hills will inherently reduce your stress and anxiety, lower blood pressure and strengthen your immune system. Really? Yes. This retreat will be good for you. Photography is a great hobby to help you revitalize. It allows you to be active, with open attention on the present. You carefully observe the world around you. Photography means living in the moment and awakening to your current experience. You will sit with that tree or rock (or person) and give it (or them) your full attention. 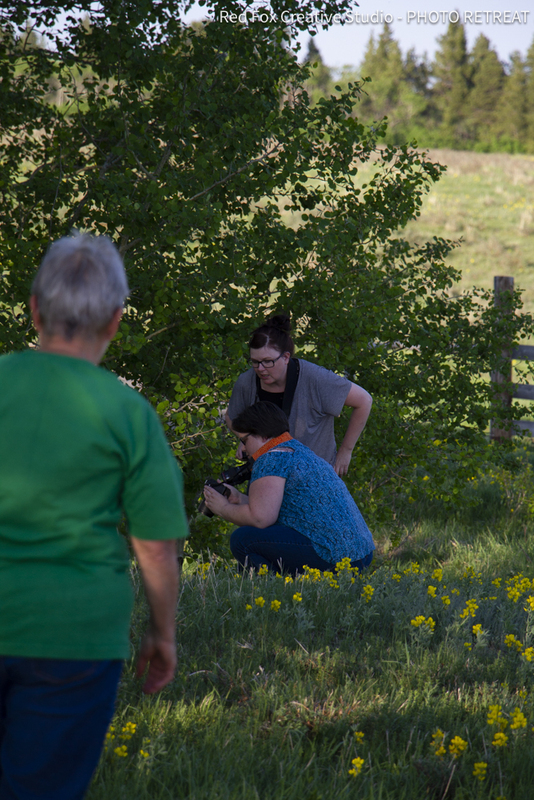 You won’t find formal instruction here, instead, you will build a community of friends with a similar interest, knowledge share and set achievable healthy art goals while honing your craft in the beautiful Cypress Hills Interprovincial Park. A restful place, in which one can rest, relax, reflect and be mindful. Reserve your 3 nights accommodation in a single bunk in a 3 bedroom townhouse. All group breakfasts at Ivan's restaurant in the resort, overlooking the lodgepole pine forest. Each townhouse includes; 1 queen bed, 1 double bed and bunkbeds, Fully equipped kitchen, full bath with linens, large sitting area, flat screen satellite tv, telephone, natural gas fireplace, air conditioning, private deck with a beautiful view. There is an option to share this room with a friend of your choice. Your friend can attend the workshop for an additional $425. Contact us for details. 3 nights accommodation in a queen or double bedroom in a 3 bedroom townhouse. 3 nights accommodation in a 3 bedroom townhouse for you and up to three friends to share. 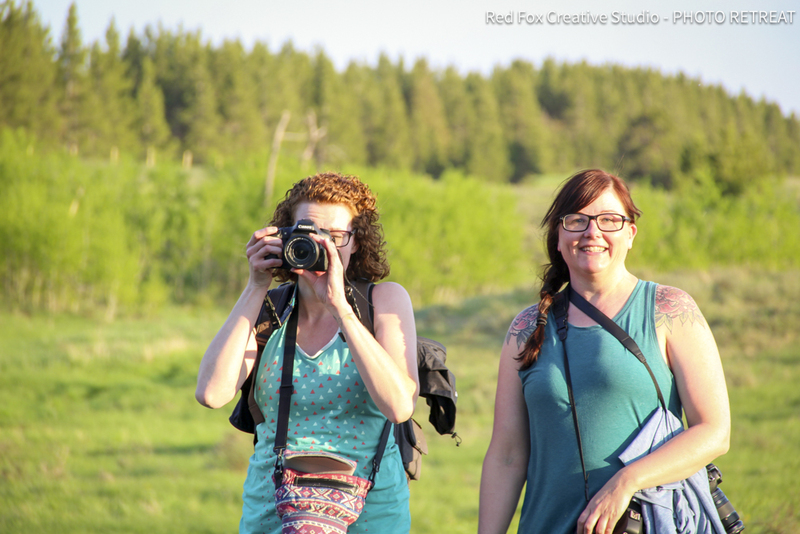 Red Fox Photography Retreat is a place to relax, rejuvenate, revitalize, reflect on the past, recharge, refocus. 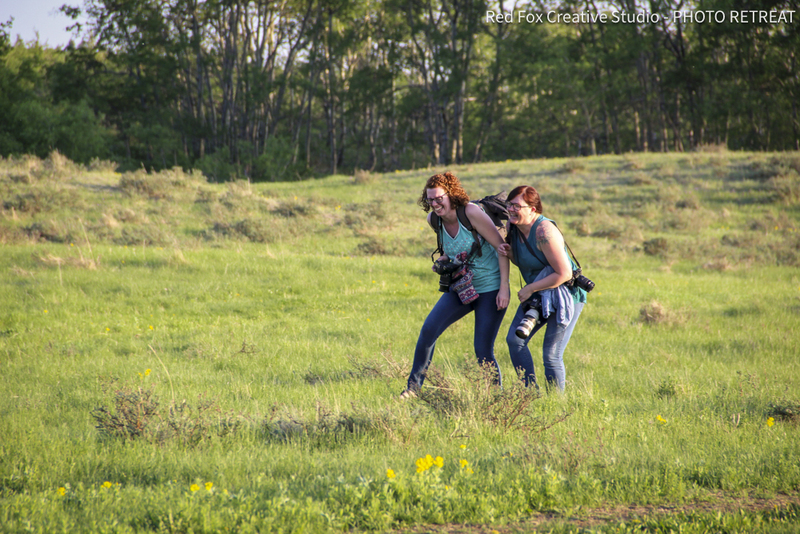 Kayla and Kristin have over 30 years combined photography experience that they will freely share with you during the retreat. Kayla is a Registered Social Worker who is trained in expressive arts therapy. She is a self taught photographer and she worked in the commercial photo industry for 5 years. Kristin has a Diploma of Applied Photography where she learned analog and digital photography. She has worked in the commercial photography industry for over 25 years. She has extensive knowledge of location, studio and post processing techniques. They are both approachable and fun. You are guaranteed to laugh at least once. How can I pay for this retreat? You pay the $200 "DEPOSIT” to reserve your spot. We will send an invoice as soon as we receive your order and you can pay the remaining balance by APRIL 22nd, 2019. If Client cancels the their registration for the retreat for any reason, Red Fox Creative Studio shall be entitled to retain the entire deposit already paid and no portion shall be refunded. YOU! Anyone. Everyone. All skill levels are welcome. Anyone who wants to rejuvenate their photography craft while building a community of friends with a similar interests. Do I have to have experience with photography? Absolutely not! DSLR, Point and Shoot or Camera Phones…all are welcome. Any camera you are comfortable with is the camera you should use. If that means your camera on your phone, then bring that. Do I have to be "good" at photography? First things first, "good" is a matter of opinion and here "opinions" are not part of the process. We personally guarantee that you and your creativity will feel embraced and validated. I would like to learn how to shoot better. Will this retreat help me to learn camera skills? How to take better images? Yes. Practice makes perfect. The more you shoot, the quicker your skills improve. Kayla and Kristin are happy to share their extensive knowledge with you. Yes. Yes. Yes. Please bring clothes for all types of weather. Due to the elevation, Cypress can be a bit unpredictable when it comes to weather. Dressing in layers is very important. Toques and mitts are encouraged ( night shooting can be cool … and cold :). Will there be physical activity? Yes. We take marked and unmarked trails throughout the park. We will be walking on semi-rough terrain, on asphalt paths and pastures. There are moderate hills involved. What do I bring to the retreat? A tripod is an essential photography tool. Bring one if you have one. You are welcome to bring a laptop, but it is not required. Be sure you have enough memory card space for a ton of fantastic photos. Yes, depending on room availability. 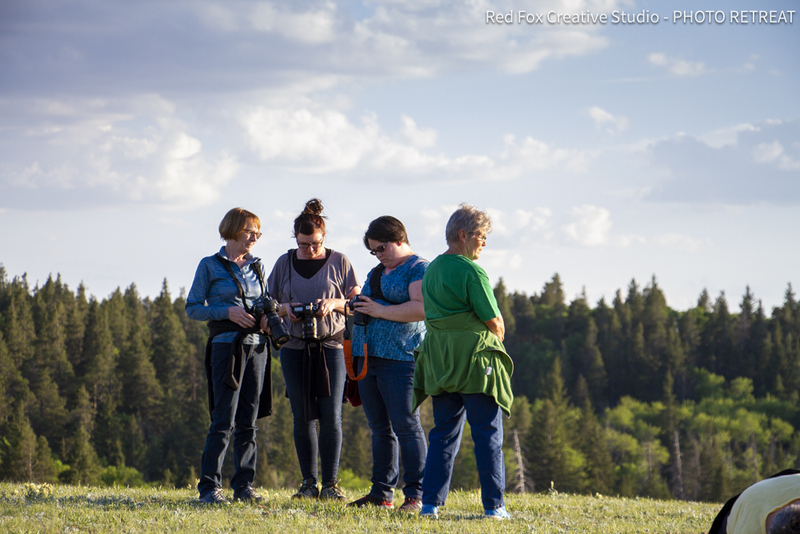 If you would like to have your family enjoy Cypress Hills while you attend the workshop, special pricing will apply. Contact us to get that pricing. 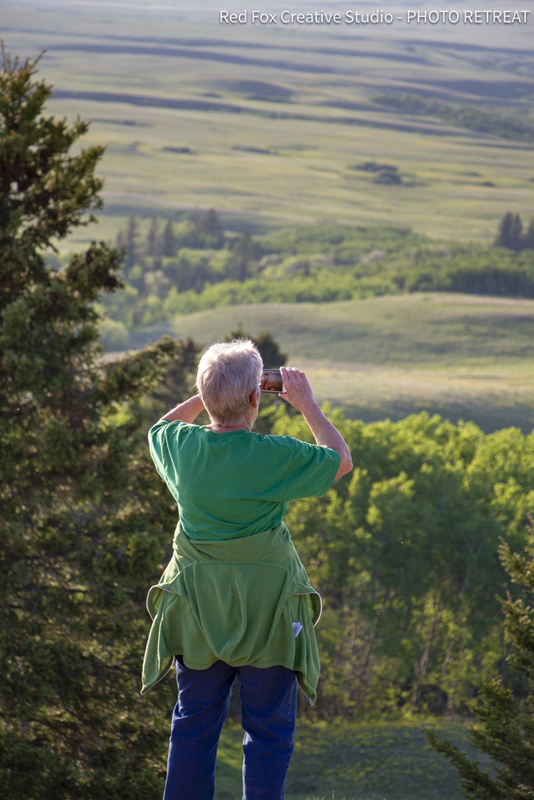 Feel free to extend your time in Cypress Hills before or after the workshop. There is so much to see and do in the area. Contact the Cypress Hills Resort to check availability.